Vertical Hold is committed to growing young leaders in our community. First Team Visit is FREE! Try out a practice and see if Team Vertical Hold is a fit for your family! Please call one of our gyms, or email our coach Sean Train: coaches@verticalhold.com for more details. 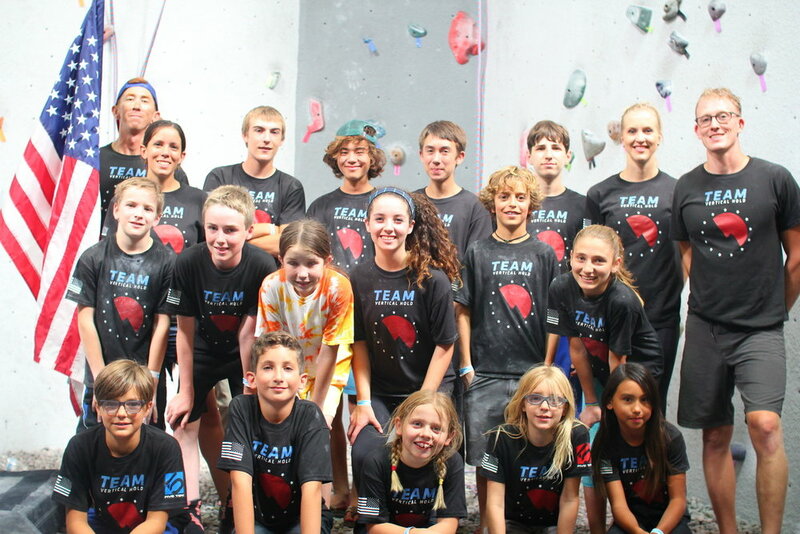 Rec practices are designed to build climbing ability and knowledge in a fun and engaging team environment. Climbers grow technique and strength with drills and games. 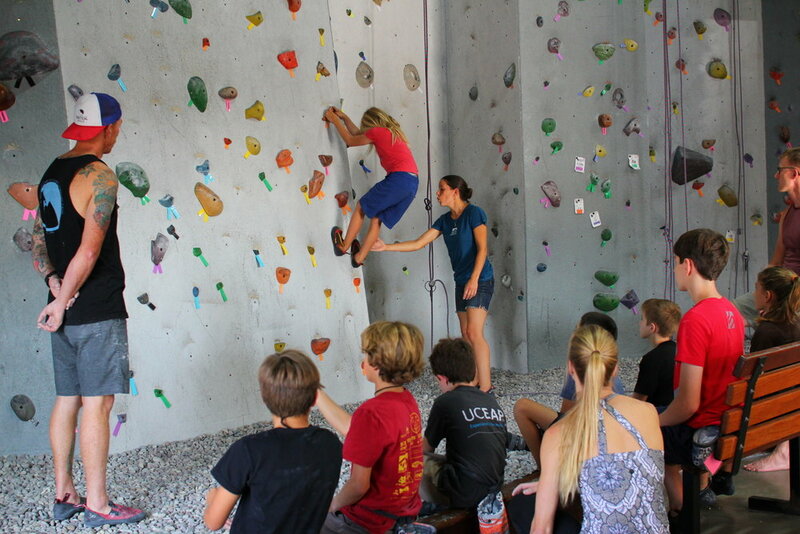 Our curriculum teaches skills used to climb indoors and outdoors such as belaying, lead climbing, rappelling and more! Rec #1: One class/week, $100.00 monthly. Rec #2: Two classes/week, $140.00 monthly. Rec #3: Three classes/week, $170.00 monthly. For young athletes ready to climb in USAC local, regional, divisional and national competitions in a structured, energetic, and supportive team environment. Individuals are coached on technique, power and endurance training, competition strategy, and above all, character on and off the wall. Competition Team: Three classes/week, $200.00 monthly. Climber intends to participate in competitions and will be supported by our coaching staff. Comp Team members are expected to be at all team practices and to train independently.